It’s almost Valentines Day… sigh. While this is my least favorite holiday of the ENTIRE YEAR, I do love to pair wine and chocolate or wine and dessert. Something about the decadence of it is different than pairing wine with savory meals. I’m giving you some options for a few different varieties of chocolate as well as some dessert, so I hope it covers whatever you happen to be indulging in. Plain Milk Chocolate: Moscato is the ideal pairing for the simplistic sweetness of milk chocolate because sweet chocolate and sweet wine go together so well. This is due to the fact that their flavors aren’t trying to combat one another. I have to be honest and say that I am not a huge fan of Moscato. It is much too sweet for me most of the time. But, when enjoying this pairing for dessert, it is a wonderful compliment. I have not tried many, but I do know that Yellowtail Moscato is a decent, cheap option. White Chocolate: Champagne is almost the perfect pairing with white chocolate. It contains no actual cacao so the acid in the champagne balances well with the sweetness of the white chocolate. I have an entire posts on great champagnes under $25 here. Riesling is also a great addition to white chocolate because the level of sweetness it has compliments the typical vanilla flavor found in white chocolate. Sugar, vanilla… yum! Some options this are St. Michelle Riesling and Kendall-Jackson Vintner’s Reserve Riesling. Dark Chocolate: Cabernet Sauvignon is a heavier wine, which is why it pairs well with a heavier-typically less sweet chocolate like dark varieties. The Josh Cabernet Sauvignon that I reviewed here would be a perfect compliment with dark chocolate. 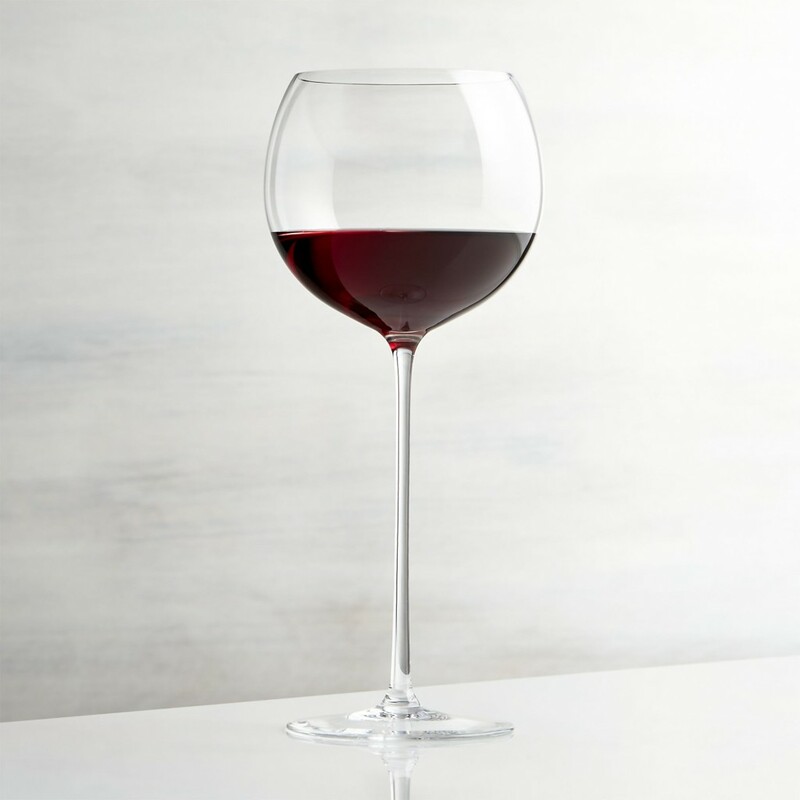 Chocolate covered strawberries and other fruit: Cabernet Sauvignon brings out rich cherry notes and berry flavors without making everything too sweet. This type of wine also works well with chocolates that are filled with nuts. A few more options for this type of wine are the Chateau Montelena “Cabernet Sauvignon Estate” and the “Monogamy” Cabernet Sauvignon by Wine Sisterhood. Cheesecakes: Moscato or Riesling. This rich and sweet dessert calls for a wine that is also sweet, but not as heavy at the cheesecake itself. The options listed previously are great for this. You could also try the 14 Hands Riesling or the Honey and Hive Riesling I reviewed here, as I find it to be a little less sweet and less heavy in terms of flavor depth. 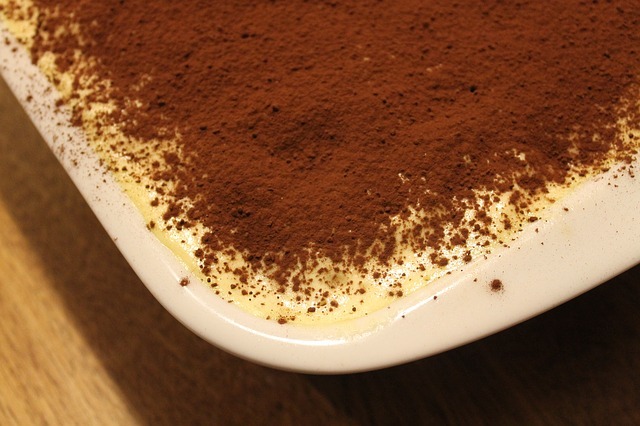 Tiramasu: Champagne is a great option for this dessert, and pairs well with other desserts that are little bit heavier in flavor custard-based dishes. Again, take a look at my top champagne recommendations under $25 here. Looking for a wine that goes with pretty much anything chocolate-orientated? Try a Madiera:) Sweet with plenty of acidity to balance well with chocolate dishes. What is your favorite chocolate candy or dessert? Great list.. I always learn so much from these posts! Lauren recently posted…Don’t Forget Your Husband on Valentine’s Day! Great tips for wine pairing! I need to add this to my Valentine’s Day board. Perfect for all those yummy desserts and candies. I thought you might appreciate this one:) I had the tiramisu especially with you in mind! I love wine pairings of all kinds, but chocolate is one of my favorites. Thanks for the list, I learned a lot. Well now I just want some wine and chocolate…glad I don’t need to wait until Valentine’s Day to enjoy! How did I miss the champagne with tiramisu last time?? Two of my favs! In moderation though, lol. I just love how you do this! I’m a huge cab sauv fan and love dark chocolate so it makes so much sense you said they pair well. I have never tried Moscato. Like you, I’m not huge on sweet wines, but I’ll have to try this sometime WITH milk chocolate. Great post!!! I love the idea of pairing champagne with white chocolate – that sounds fantastic right about now! Great list! I always love trying different pairings so i’ll definitely give some of these a go!! Thanks! 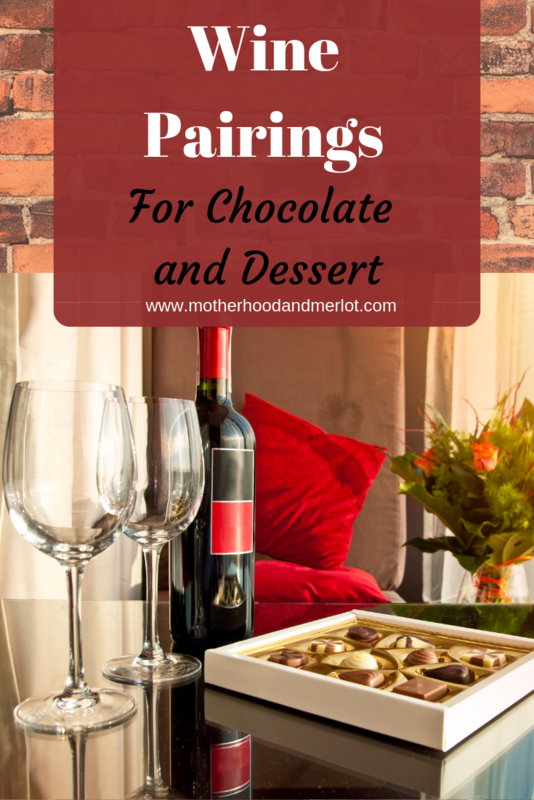 I love these essential wine-and-chocolate pairing tips! It’s fabulous that I found this post just in time for Valentine’s Day. Thank you so much for sharing your expertise! This is excellent! I love your idea for pairings. My favorite thing to do on valentine’s day is grab a good dessert! This is a amazing list. I especially love to have dark chocolate with my 2014 Method Napa Valley Cabernet Sauvignon. It is a Napa Valley wine and goes really well with dark chocolate. I bought it online from Precision Wine Company.